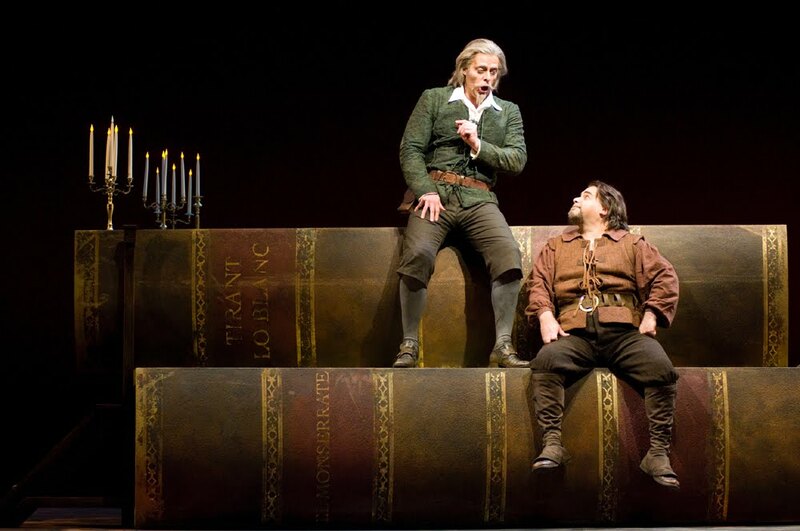 Inspired by what many consider the greatest novel ever written, the opera is set in an imaginary landscape of giant books. 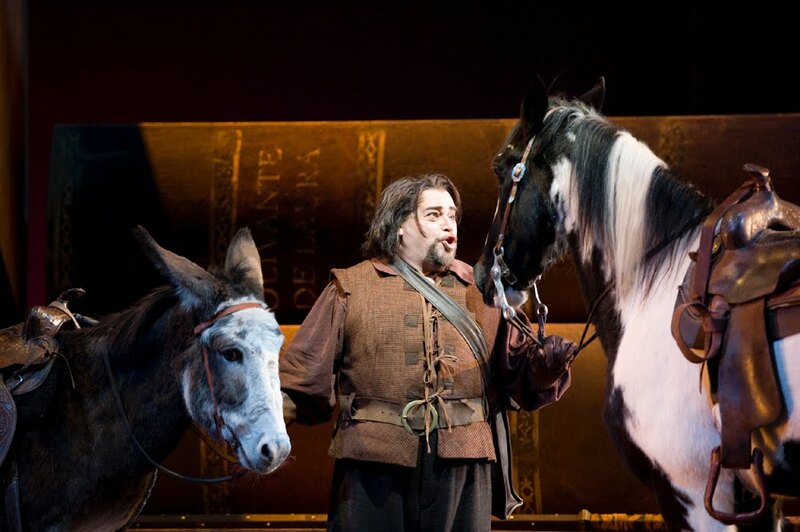 John Relyea is Don Quichotte and Eduardo Chama is Sancho Panza. Sancho (Chama) takes care of Rocinante and Dapple, who are played by Millie (an 8 year-old Paint) and Desperado (a 14 year-old Tennesee Walker). 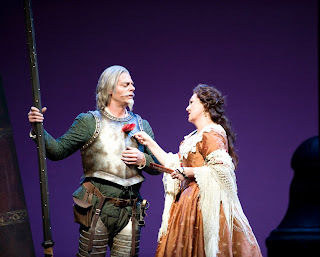 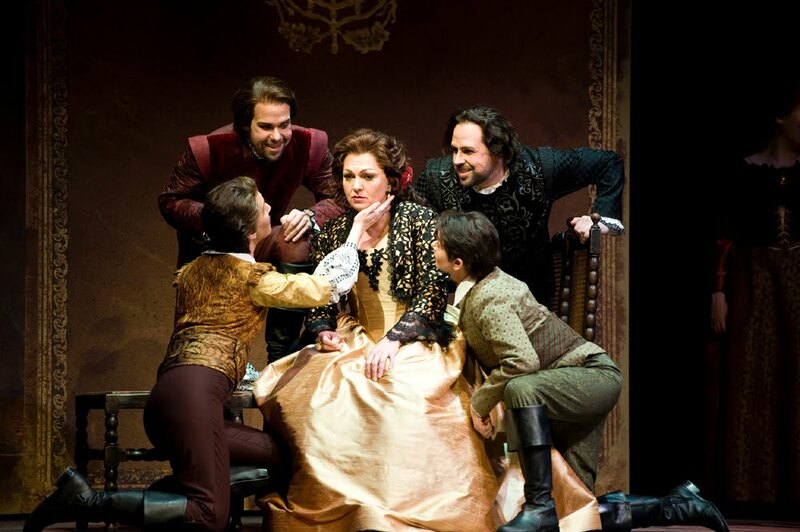 The opera's plot concerns the January/December romance of Quixote and Dulcinea. 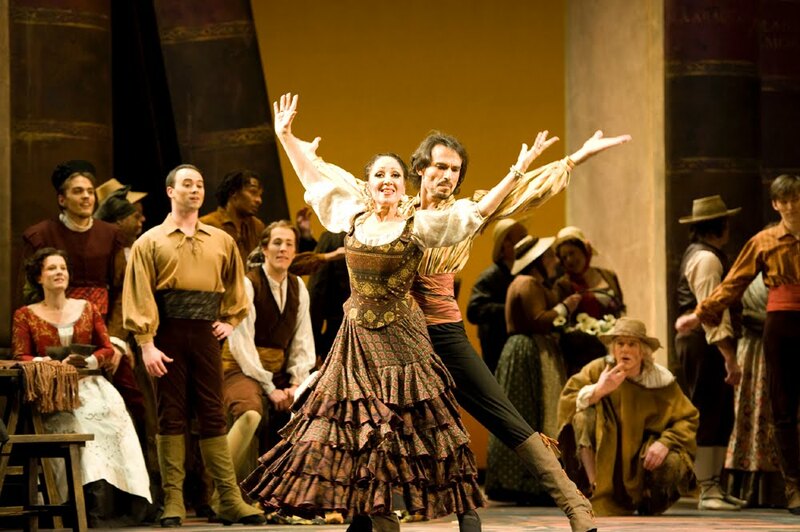 The production features authentic Spanish classical dance, choreographed by Sara de Luis and performed by de Luis, Raul Salcedo, and others. The Spanish dances are a definite plus for this production: inventively but authentically choreographed and brilliantly executed!! !